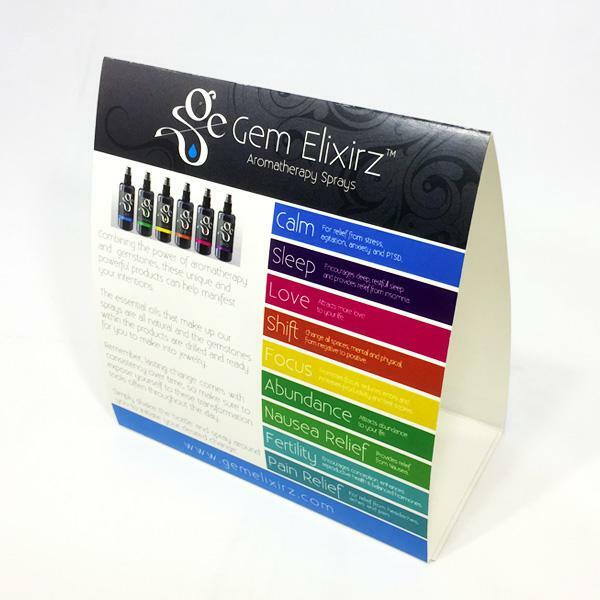 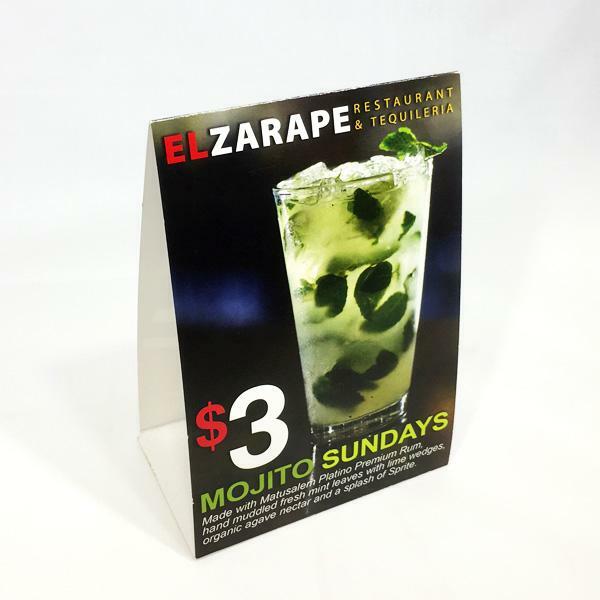 Custom Table Tents are ideal for advertising in places such as restaurants, hotels or anywhere that people congregate. 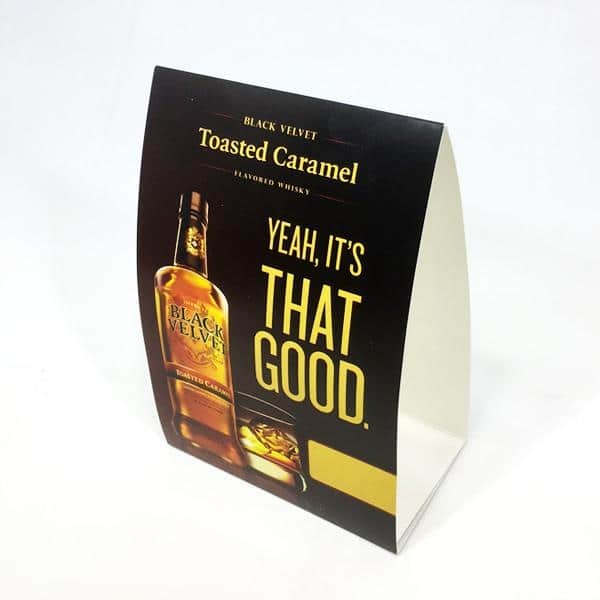 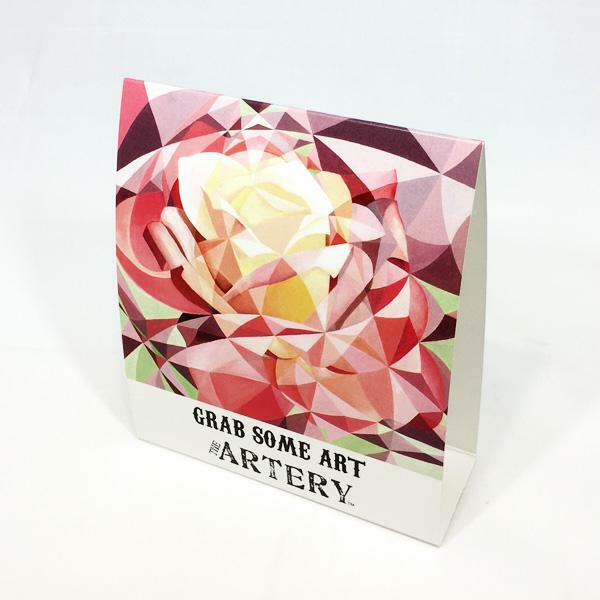 Being visible from both sides makes this item highly viewable from any location! 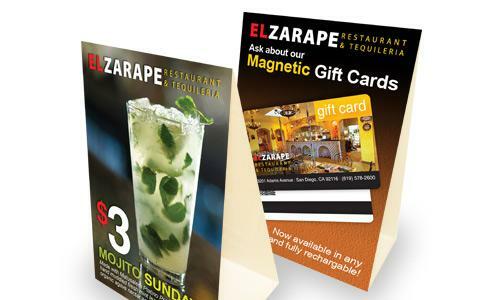 Whether you are promoting your restaurant’s new specials menu or this month’s holiday sale, custom Table Tents are the perfect way to make your message stand out and get noticed.